Today, we run down all the current and near-term competitors to the upcoming Tesla Model Y, and look at everything we know about the car to this point. In the meantime, Tesla dropped the Mid Range Model 3 this weekend. And one-time Tesla rival Fisker revealed that it will launch its new lineup with a $40,000 electric SUV, rather than a high-end luxury sedan. All this and more on Green Car Reports. Unlike previous Teslas, the upcoming Model Y will launch right into a wave of electric-SUV competitors. We took a look at all of those that are expected to be out by the end of this year and how they may stack up against the Model Y. While we're at it, we ran down all the details we know about the Model Y so far. 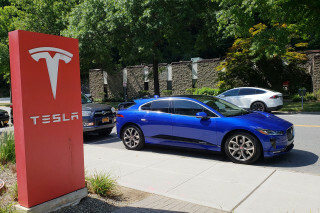 Over the weekend, Tesla eliminated the Mid Range Model 3 from its lineup, perhaps taking a cue from our own readers, few of whom said they'd buy one in the face of cheaper Model 3s. And Fisker, which famously launched the Karma plug-in hybrid around the time that Tesla launched the Model S, now says it will launch a Model Y–fighter as its first car. 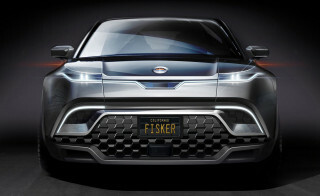 Previously, Fisker said it would launch a high-end sports sedan, the EMotion, and was working on solid-state batteries. Those may both launch later. Tesla released a teaser image of its promised pickup, though it doesn't show much. Finally, President Trump demanded that GM CEO Mary Barra "do something quickly" to keep its Lordstown, Ohio, factory open, after the company announced it would discontinue the Chevy Cruze that was built there. GM eliminated the Cruze as part of its turn away from fuel-efficient sedans and hatchbacks toward building bigger SUVs and light trucks, and as the EPA under Trump announced plans to eliminate future increases in fuel economy requirements.